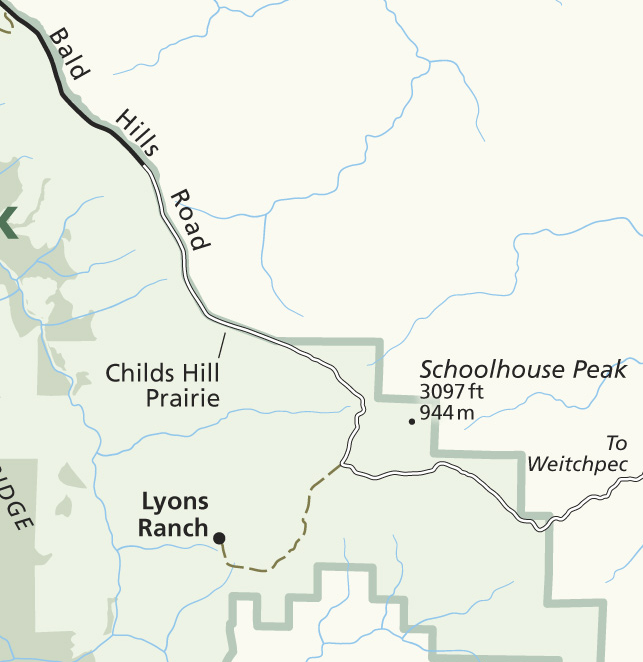 The Bald Hills are a series of large hills — or, if you prefer, small mountains — south of the Klamath and Trinity rivers and directly north of Redwood Creek. 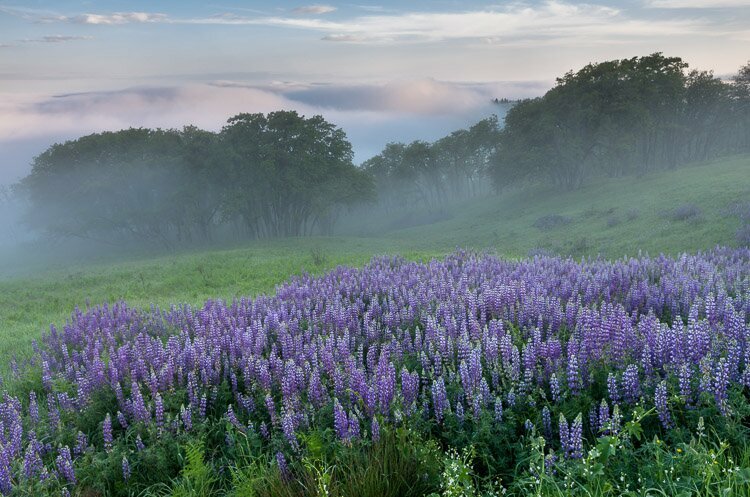 A portion of these “hills” form a scenic section of Redwood National Park. 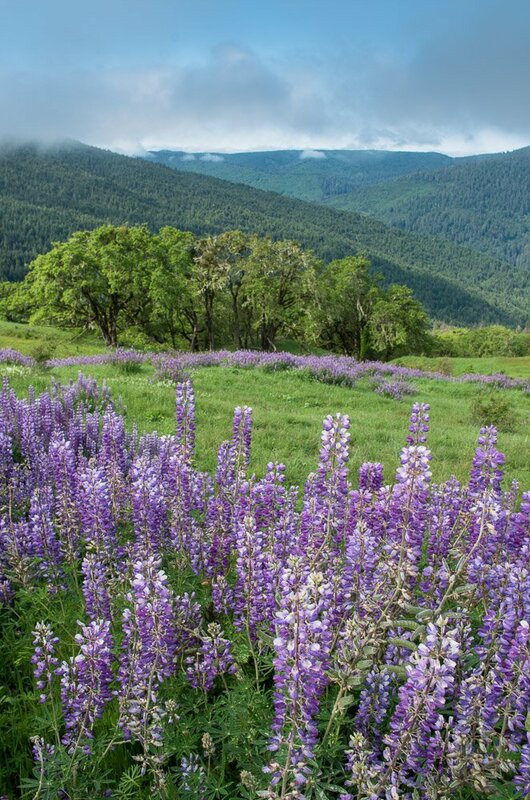 About eight miles up the aptly named Bald Hills Road, the redwoods clear and you reach sections of open prairie framed by clumps of trees. 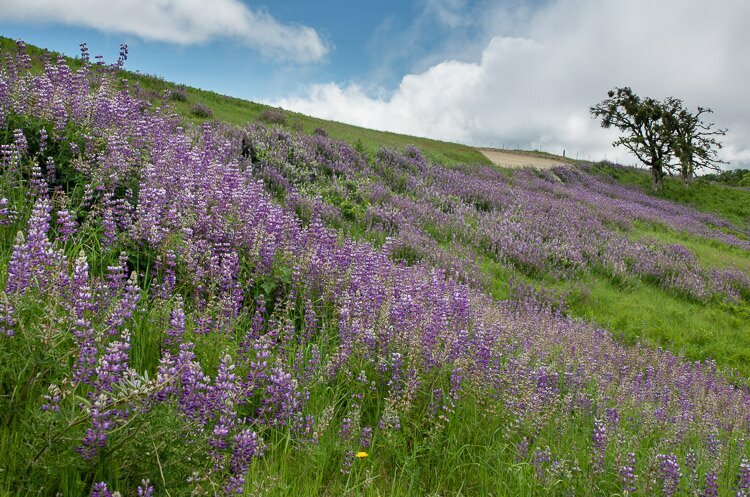 Toward the southeastern section of the park, the hills really open up, and in the spring it’s not uncommon to find the fields dotted with patches of lupine. 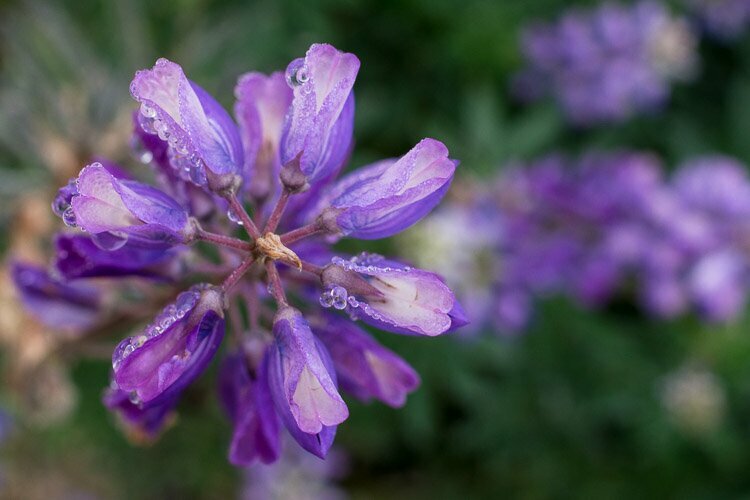 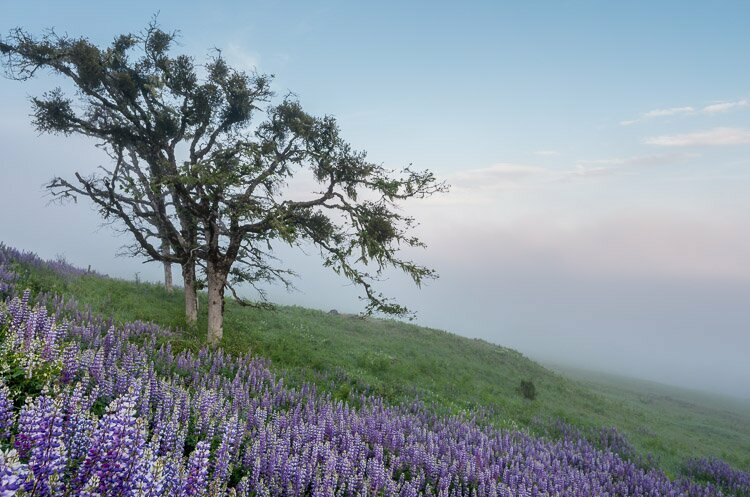 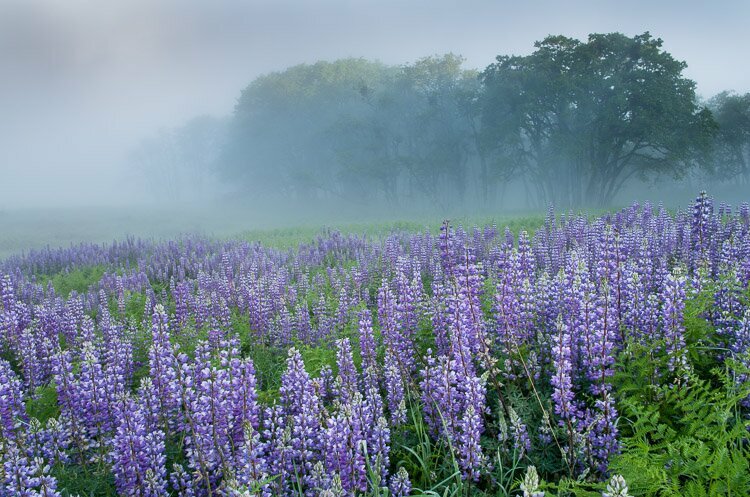 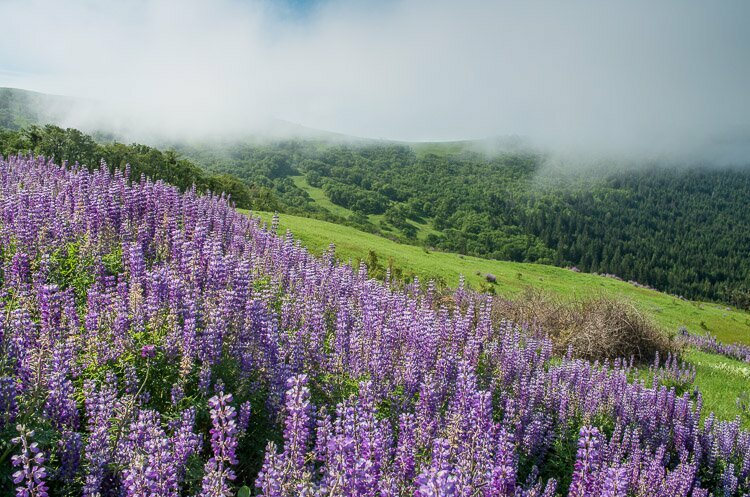 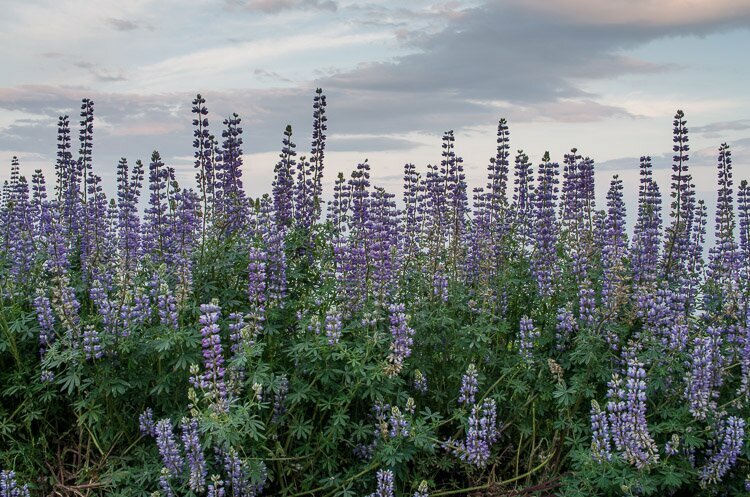 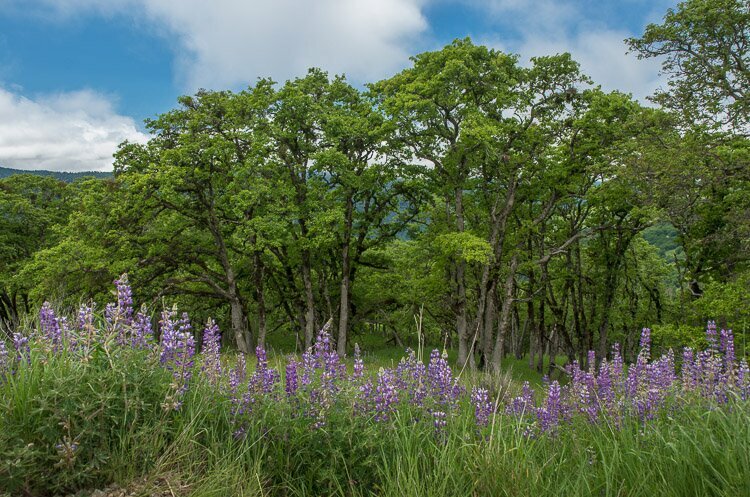 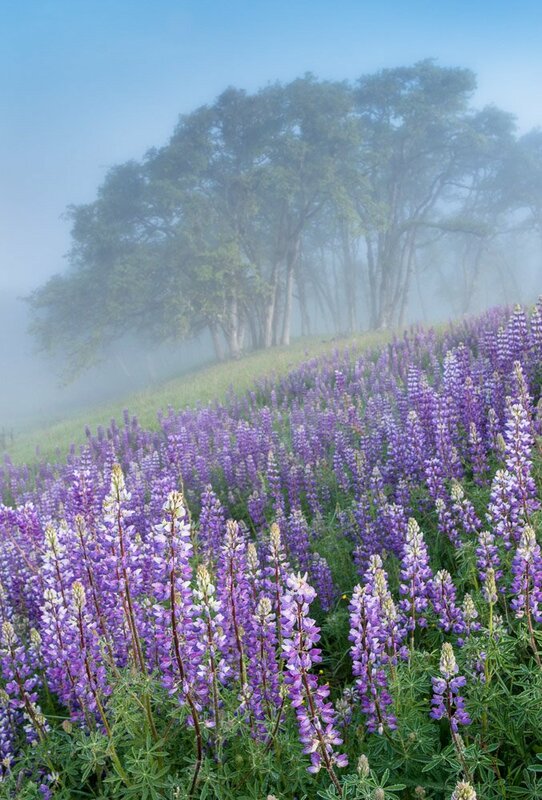 In 2014, there were whole fields of Lupine. 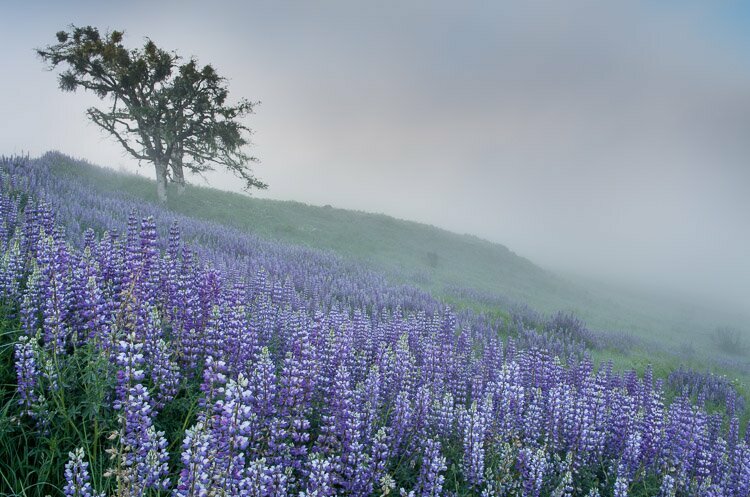 But this year, they only existed in patches, some small, others fairly large.